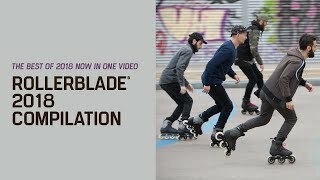 In 2017 Rollerblade® launched several video edits containing amazing content. 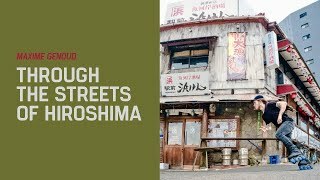 For our followers and fans, we created video edits that share our passion for the sport and the lifestyle of skating. The videos include: in depth reviews of products and innovations, a total training program for beginners to experts, a custom XFit workout with Ben Brillante on the all new Rollerblade® Twister Edge skates, and so much more. In 2018, as Rollerblade® continues to develop top-notch products for every skater, we will also continue to create content to inspire. 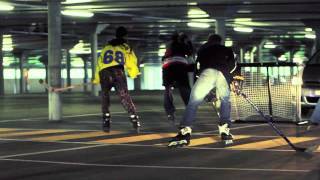 Enjoy the Rollerblade® 2017 Compilation! The compilation includes some of our favorites, but be sure to check out Rollerblade.com or visit our YouTube channel at AuthenticRollerblade to watch all our video edits. Featured Riders: Greg Mirzoyan, Autumn Miller, Guillaume De Mallevoue, Sven Boekhorst, Guillaume le Gentil, Maxime Genoud, Ben Brillante, Jeremy Suarez, Sofi Carreras, Juan Hererrra, Timmy van Rixtel, Gabe Holm, Danny Aldridge, Coco Sanchez, Cameron Talbott, and Sean Keane.